Thanks to Curtis McKinney with Hawgfest, Ryan with 3Thirteen Entertainment, Rick with WJRR, and to everyone who rocked out with us in Orlando, Florida! 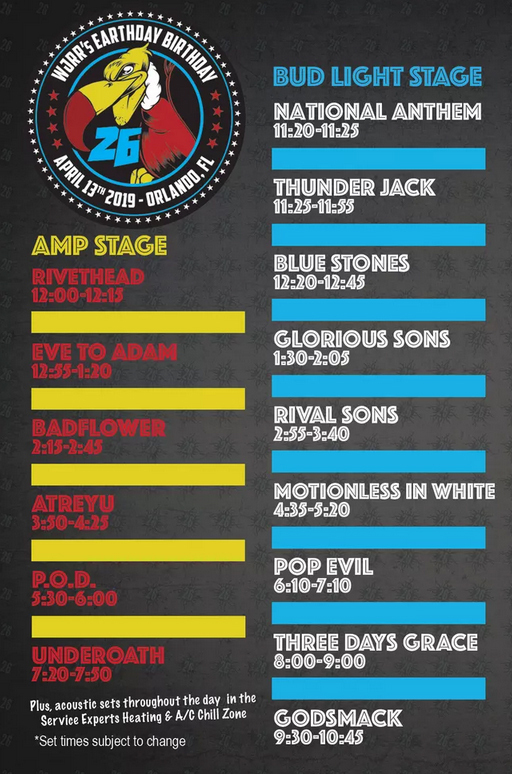 We opened the 2nd stage, followed by Eve to Adam, Badflower, Atreyu, POD, and Underoath. 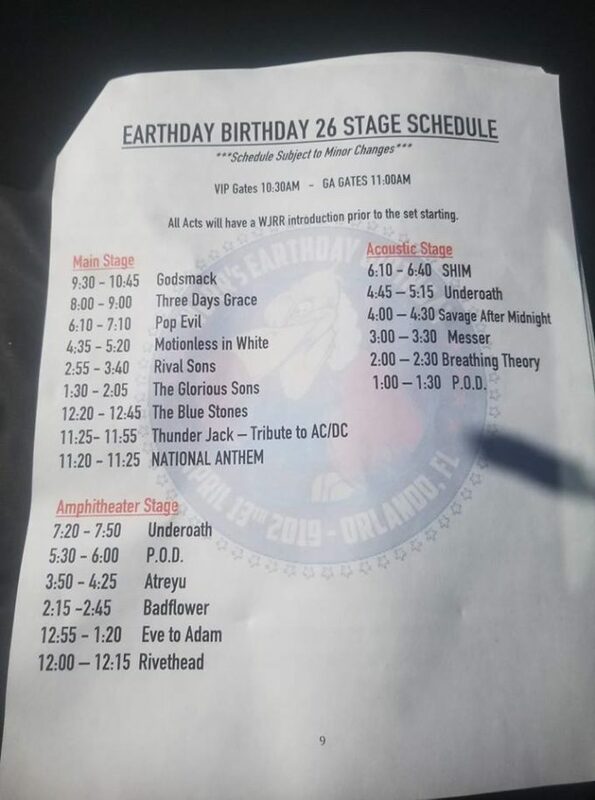 The main stage featured Godsmack, Three Days Grace, Pop Evil, Motionless in White, Rival Sons, Glorious Sons, Blue Stones, and Thunder Jack. There were four stages in all, and we were super happy to catch sets by our Dallas friends in Phoenix Rising and Messer. Believe it or not, this the 2nd stage. We got to rock this bad mofo!